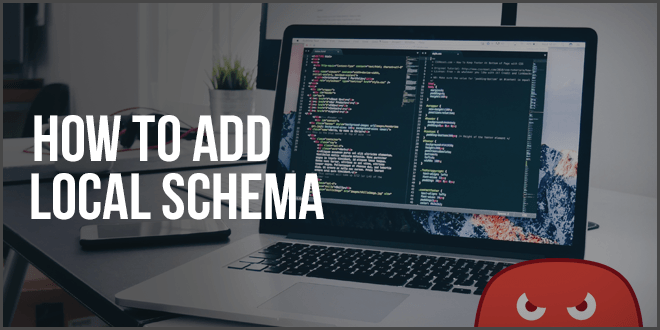 Schema markup is code that you can use to markup certain elements of your website to help search engines understand them better. By adding local schema markup to your website, you can tell search engines exactly what your business name is, your image, your address, phone number, hours of operation and more. In today’s article, I’m going to show you how to optimize your local seo website with schema. DON’T display your NAP in image format. Search engines can’t crawl text embedded in images, so this won’t help your local ranking signals at all. Instead, instruct your developer to list your NAP in an easily crawlable HTML text format. Here is an example from a property management company based in Dallas Fort-Worth, Texas. If you scroll to the bottom of their homepage, you can see the business name, address, and phone number information. This is typically where NAP info can be found. Next, make a left click, which shows you the view page source option, or simply hit Ctrl + U. This will pull up the HTML text source code for the website. Hit search (or Ctrl + F) and type a portion of the listed address to see if it’s listed as text. You should find something that looks like this. If you look closely, you’ll find the business’s NAP nestled inside the page footer divs. DO make sure your NAP shows up in your website’s HTML. This way, humans and search engines can crawl your info. Next, add a Schema local business markup to your page. Without getting too technical, a Schema is a set of code or structured data, that lets search engines understand your NAP data better. This then lets search engines present a more user-friendly display in the search results, called rich data or snippets. So, how do you go about creating your Schema markup? 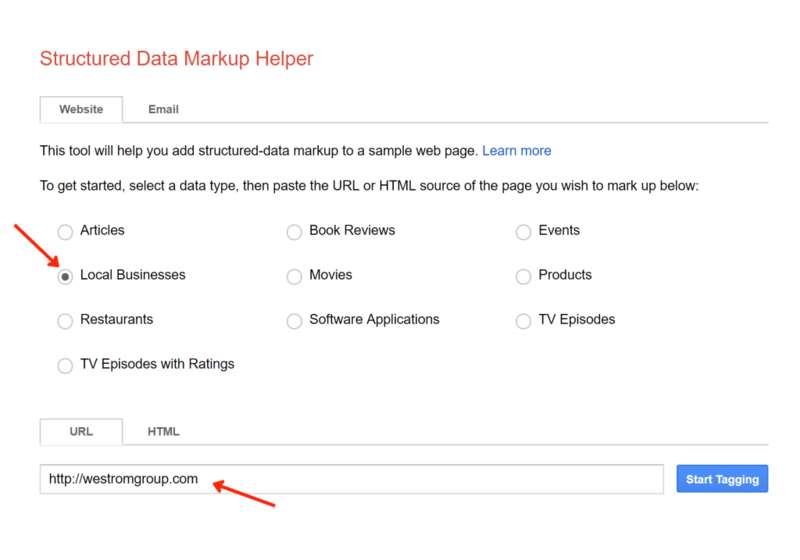 It’s as simple as plugging in and tagging your website data to Google’s Structured Data Markup Helper. Just enter your business page URL and click “start tagging”. Let’s try our earlier example of a Texas-based property management business. This will take you to a visual of your site where you click on and highlight certain parts, such as text, an image, or the footer, where your NAP is, and label it in the input table to the right. 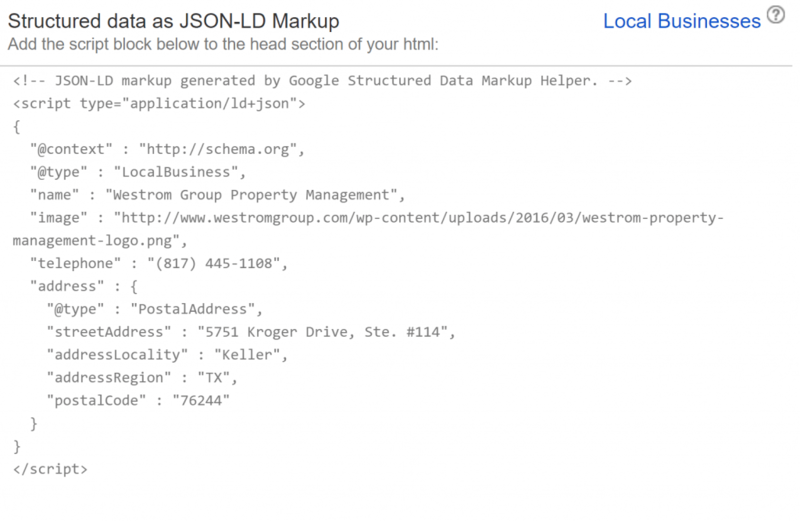 Once you’re done putting in data for all the tags, generate your structured data code by clicking HTML and choosing JSON-D, which is Google’s recommended format. You should see a snippet of your code like the one below. 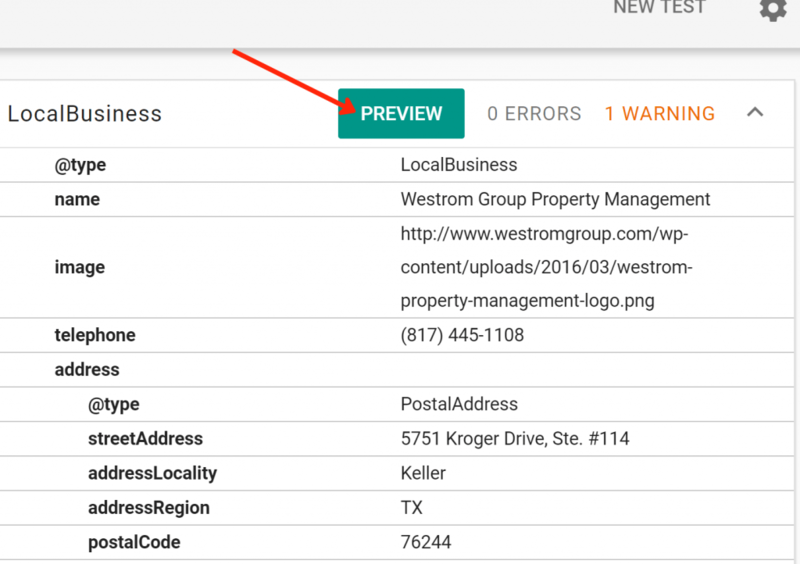 You can download the code snippet and test it on Google’s Structured Data Testing Tool. Google will make some additional warnings or recommendations if you missed filling in some tags. Click preview to get a glimpse of what your rich snippet would look like. Once you’re satisfied, pass the baton on to your developer. 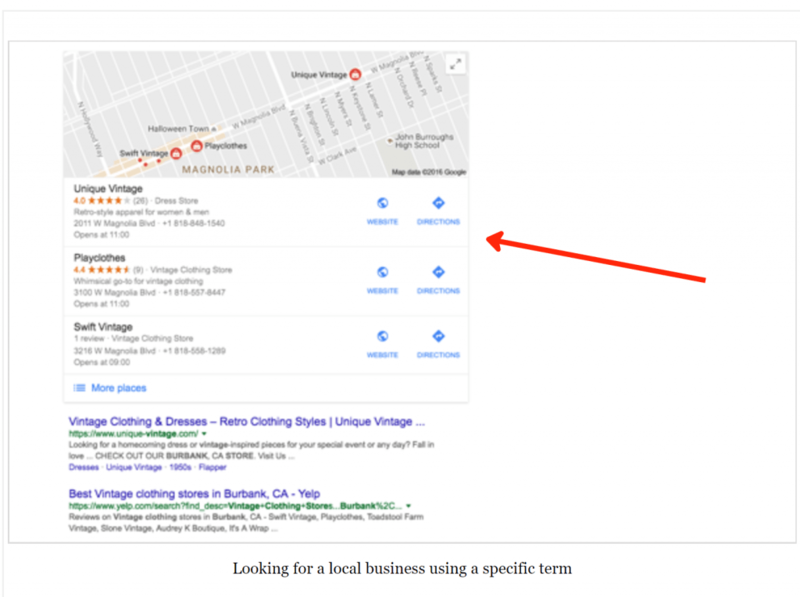 If you want something more detailed, this guide digs deeper into the topic of Schema markup for local businesses. Thanks for referencing us in your piece 🙂 You put together a great guide for making sure all the address listings are changed properly, it’s definitely a useful resource!